I love the focus of this CD – your attention is drawn immediately to our God who is greatly to be praised. The songs are filled with love for God, acknowledging who He is and what He has done and then expressing an ‘appropriate’ response from our hearts – worship, adoration and of course, surrender. The music has an interesting dynamic. It was recorded live at Bethel church, so I would have thought it would have more of a live sound, but most of the songs have a simplistic arrangement that ‘ages’ the songs somewhat. 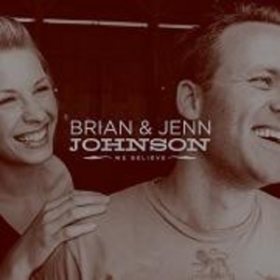 Brian and Jenn both express a deep love and passion for the Lord and this, expressed through their unique sound, helps one to enjoy God-focussed worship, where one can either sing along or simply listen and allow the words to wash you. Enjoy the CD.